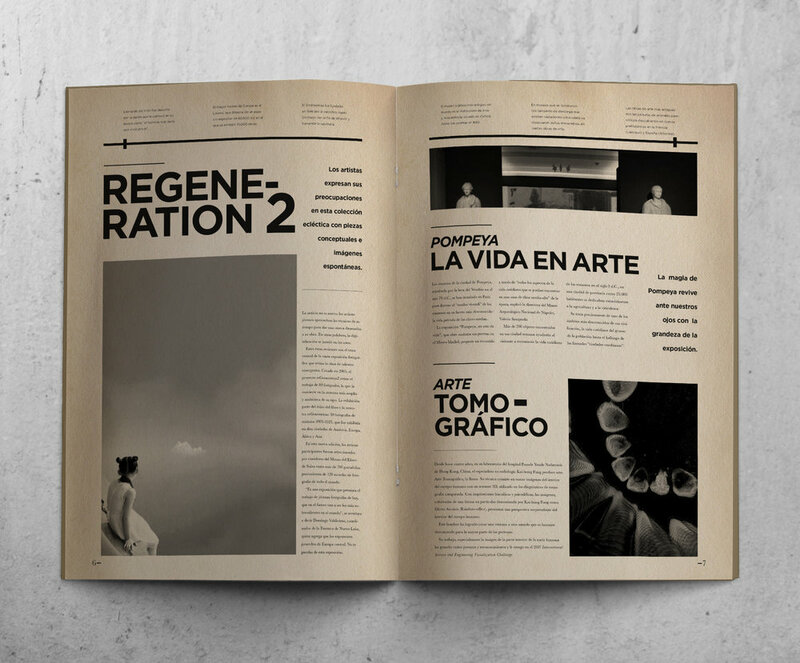 Raíz (Root), a magazine for art lovers. The sepia color of the paper creates a space where knowledge and culture meet. By using only black ink as its printing method, Raíz makes a interesting statement to contrast the extensive and colorful world of art. The magazine develops an unique identity, similar to old, vintage newsletters but with a more minimalist touch, a clean layout and white space.